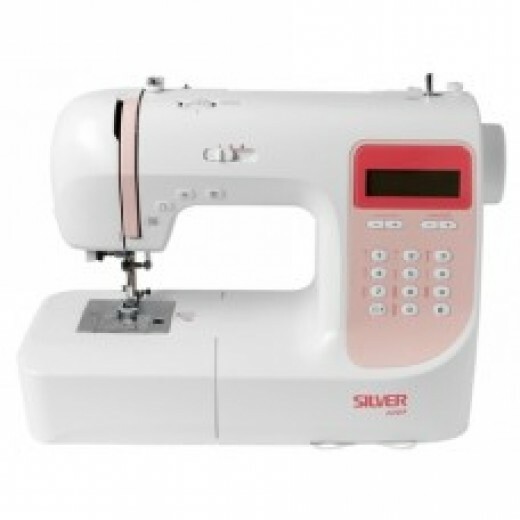 The colourful, compact Silver 1045 features an LCD information screen making stitch selection easy and details stitch widths and lengths. The screen advises which of the snap on presser feet you should be using as well as other useful prompts. A total of 110 stitch patterns are available including 7 buttonhole and eyelet stitches. An easy to follow threading diagram and a pattern selection list are displayed on two handy pull-out reference plates. A hard case is included and a quilting table is available for bigger projects. With all these features the Silver 1045 still weighs only 5.67kg.